Twenty-year-old Bethany Schrock is restless. Her love life has derailed, her faith hangs by a thread, and she is spending the incredibly hot summer days wading through a lifetime’s accumulation of junk at the home of five ancient Amish sisters. About the only thing that holds her interest is the spirited and dangerously handsome Jimmy Fisher–and he seems bent on irritating her to no end. When the sly old sisters and a guest at the Inn get Bethany involved in running the local soup kitchen and starting a community garden, she suddenly finds herself wondering, Shootfire! How did that happen? Despite her newfound purposefulness, a gnawing emptiness about a childhood mystery continues to plague her. Encouraged by Jimmy Fisher, she will seek out the answers she craves–and uncover a shocking secret that will break her heart, heal it, and point her to love. Suzanne Woods Fisher has become one of my favorite authors. This book certainly didn't disappoint me. In fact, it made me want to go back and read the first book in the series, all while eagerly awaiting the next book. This book kept me glued from page 1 to page 320. While this is the second book in the series, I had no trouble picking it up and reading it without having read the first. All of the characters were well developed and you felt as if you were a part of the community, watching and waiting to see what would happen next. 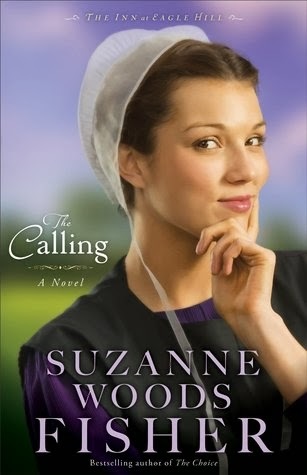 Honestly, if you love Amish fiction, you're going to love this book.